Nahanni worked closely with partners and stakeholders to ensure that the final design met the needs of the end-user. Building a dementia facility is a complex job, with myriad considerations for end users. 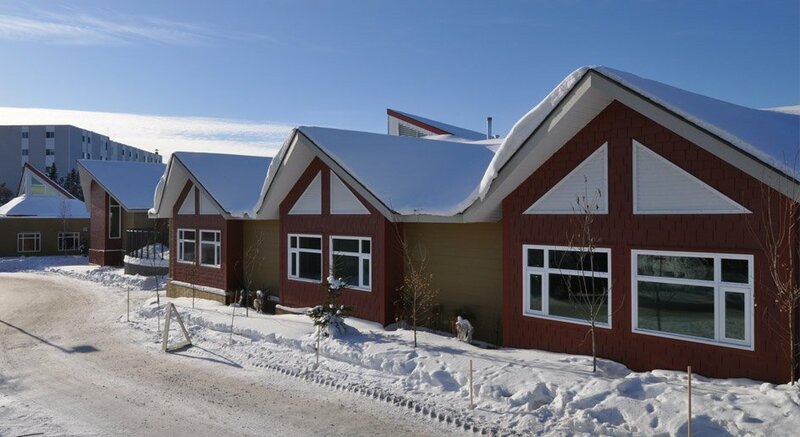 As project lead for the design and build contract to construct Aven Cottages, a new territorial dementia facility in Yellowknife, NT, Nahanni worked closely with partners and stakeholders to ensure that the final design met the needs of the end-user, while considering the current tenants of the nearby seniors’ home. This project presented a series of unique challenges for Nahanni Construction. The new Dementia Facility was set to be placed in the middle of a fully-operational seniors’ complex, creating safety concerns for residents and limited space for staging as well as other on-site construction related activities. The project would also require the blasting and removal of a significant amount of granite before construction could even begin. Considering the target date for project completion, Nahanni would have to excavate the foundation during the winter – with temperatures averring -30 degrees Celsius. From the very beginning of the project, Nahanni considered the end users and current tenants and assembled a team of architects, engineers, and construction workers that could grasp the complex nature of the project and how the facility would affect the long-term care of its patients. Throughout the design phase Nahanni consulted with the end-user group to ensure their needs were being met and provided regular updates and tours of the construction to update stakeholders on the status of the project, as well as how the facility would benefit them. In order to control costs for our client, Nahanni’s certified tradesmen did all structural steel fabrication on site, saving the client a considerable amount of money and allowing for better control of the end project. This also helped Nahanni plan for the tight confines of the work site and ship steel components efficiently and effectively. The completed project, Aven Cottages, included a new 26,000 square foot facility for 28 full time residents, an administration wing, day use area, and secure recreation areas. There was zero lost time on this project due to Nahanni’s rigorous and extensive safety program. Nahanni donated funds and in-kind labour in an effort to assist the Yellowknife Association of Concerned Citizens for Seniors with their budget on the renovation portion of the project.